Burning Love of Origins – Adventure, motivation and love for life. 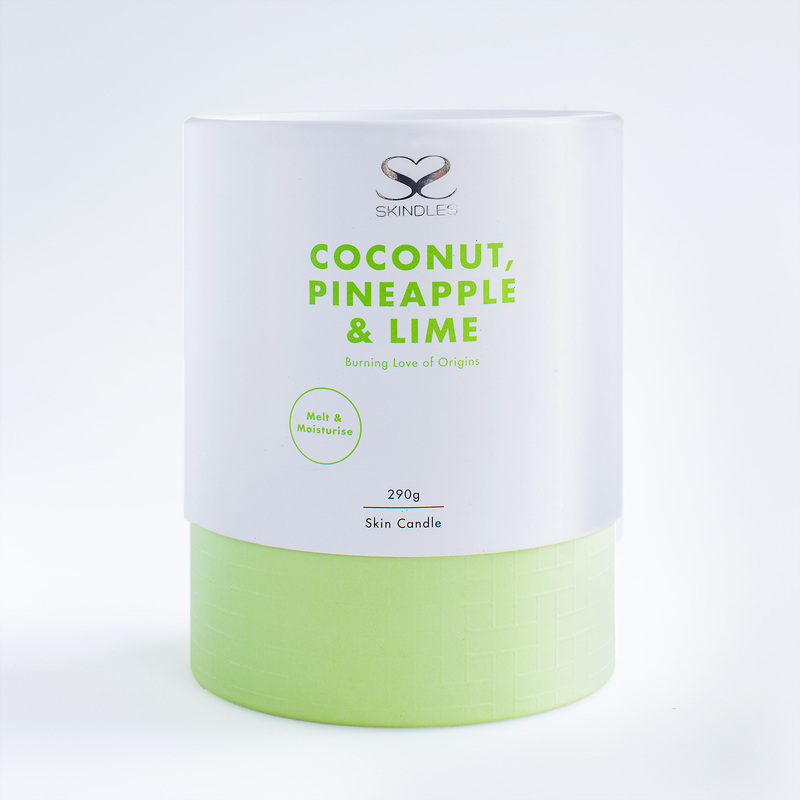 Beautiful foods and rich reminiscent scents inspired our Burning Love of Origins skin candles. Fall in love with the visual taste and significant, bold scents, each unique to its country of origin, all packaged with a creative and cultural flair! Extinguish the flame of your skin candle and scoop a small amount of fragrant oil and apply to desired area, using spoon (provided). Use your skin candle lit or unlit as your daily hydrating body butter/body oil. Apply 1-2 spoonfuls of melted oil to rinsed and towel dried hair. Leave in for 15-20mins. Shampoo, condition and blow dry as normal. Trim wick after each use or every 3 hrs, to maintain temperature. Burn your candle for a minimum of 3 -5 hours upon its first use! Use your Skindles cloth (provided) to remove fingerprints or scuff marks from your vessel. For deeper scuff marks simply dip paper towel or your cloth into the candle oils to remove. *Do not tumble dry. *Do not use softener. No polishing or fumigation has been used during the engineering of our ceramic vessel. Our wicks are lead free and are made from 100% cotton, which have been coated in a natural wax, to maintain it’s extremely straight posture. We use a combination of pure essential oils and strictly only (PG)Premium Grade fragrance oils. All fragrances and oils are skin safe certified and meets all global safety requirements. All of our oils are Australian certified oils. Our fragrance oils are free from Parabens, phthalates and musk. 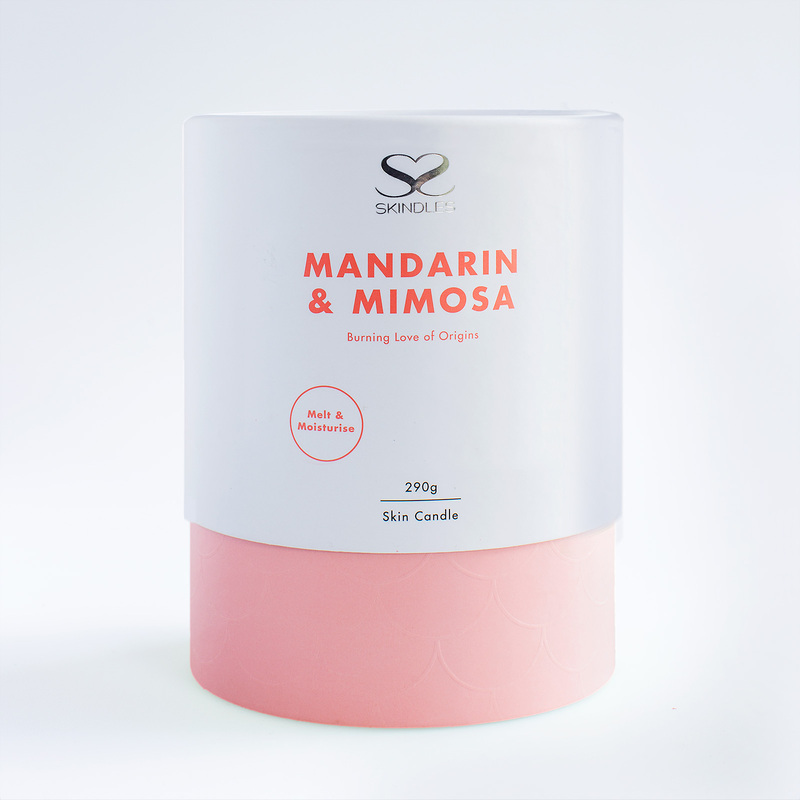 Our skin-candles are cruelty free vegan friendly and biodegradable. Our products are made and manufactured in Australia in an ethical environment. Our skin-candles burn for longer periods of time, which is why we do not stipulated a “burn time”. 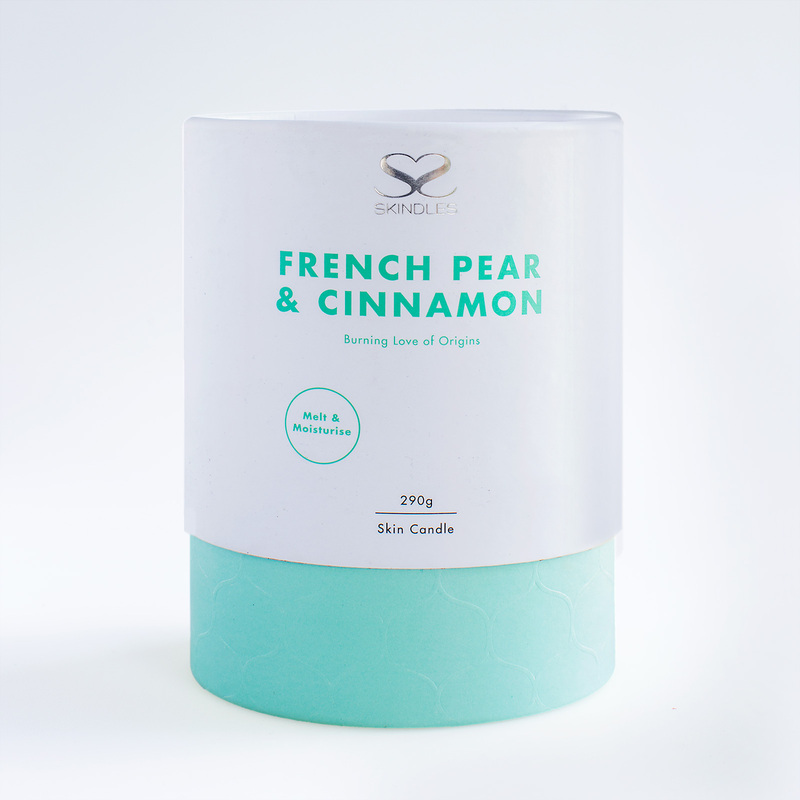 Our skin-candles are suitable for use on body, hair and in your bath. Melt and moisturise and allow the scents to transcend and evoke a memory? I reached a point where virtually anything I ate affected my body in some way; I learnt through my various intolerances that simplicity was key. The only way I could avoid feeling ill was to consume clean, raw, unprocessed foods; little did I know those very foods would be the basis of my formulations years later. Skindles came to fruition rather organically as a result of: 21 years in a fad-driven beauty industry, thousands of clients that inadvertently formed my market research, together with extensive study into the biology of naturally occurring plants/foods and their effect on the skin. The Skin-Candle concept flourished soon after this, however I quickly realised I couldn’t stop at just candles! As my brain ticked over I was overwhelmed with new product ideas and ingredient inspiration. Skin-things was later added to encompass the range of multi-purpose face, hair and body products I would soon develop and launch. I figured if I striped skincare back to basics and sourced only the purest, most natural ingredients then I could create something anyone could love, use and enjoy through every stage of life. But there also needed to be air of mystery surrounding each product; inconspicuously packaged as more than meets the eye, kind of like me. I set out to make an uncomplicated range of skin-things that had a powerful duality about them – simple yet ultra luxe; fun but highly targeted; for the busy bee who needs everything rolled into one, or simply wants to reconnect their body and soul. Burning Love of Origins – Adventure, motivation and love for life. Beautiful foods and rich reminiscent scents inspired our Burning Love of Origins skin candles. Fall in love with the visual taste and significant, bold scents, each unique to it’s country of origin, all packaged with a creative and cultural flair! Extinguish the flame and scoop a small amount of fragrant oil and apply to desired area, using spoon (provided). Use lit or unlit as your daily hydrating body butter. Use melted oils and apply approx. 1-2 spoonfuls to towel dried hair. Leave in for 15mins. Wash and blow dry. Use 2 scoops of melted oil and place in bath. Whilst bathing, burst the oil lipids onto skin to release their scent. Allow the oils to nourish, nurture and hydrate. Trim wick after each use or every 3 hrs, to maintain temperature. We use a combination of pure essential oils and strictly only (PG)Premium Grade fragrance oils. All of our oils are Australian certified oils. 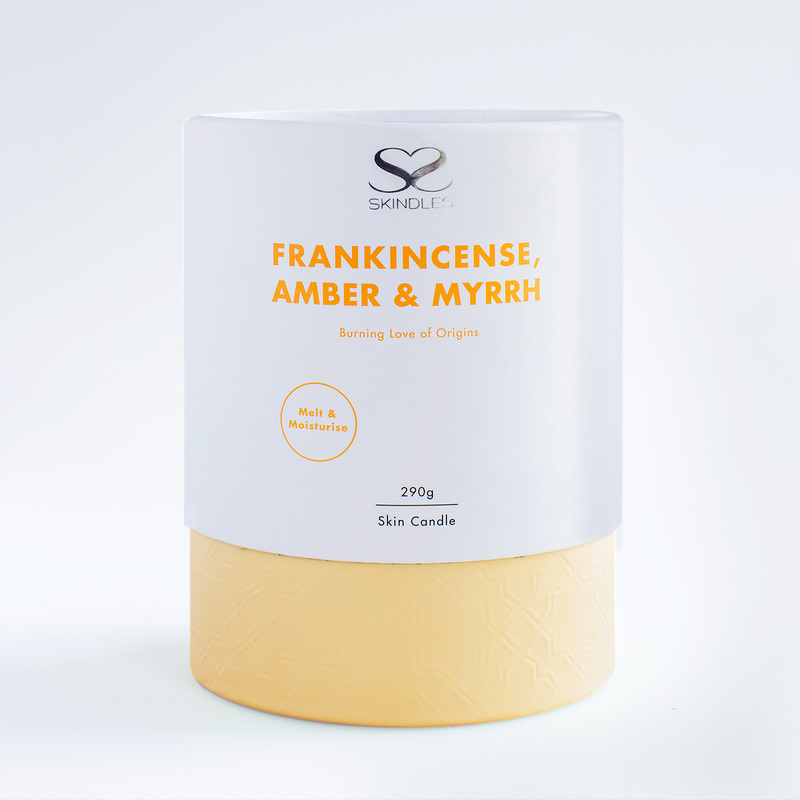 Our skin-candles are suitable for use on body, hair and in your bath. Melt and moisturise and allow the scents to transcend. I must admit, my journey thus far has been challenging yet fulfilling. I’ve sacrificed and compromised in order to achieve my goals. I thank my incredible husband who supports all that I do, my beautiful and loyal clientele, my friends and special team who have enabled me to step back and pursue other ventures.